Ever wondered how you get milk from a cow? Come and stay at Lochmeyler and you can find out for yourselves. Times have changed since my Great-Grandfather’s days. Back then there would only have been a few cows and they would have been milked by hand. 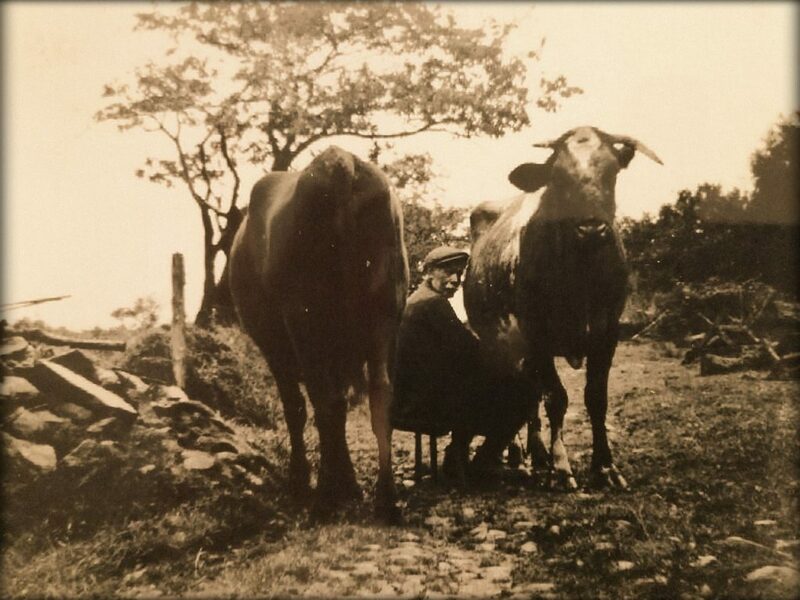 This photo is of my Great-Grandfather (my Dad’s Grandfather) known as Datcu Gorslwyd milking his cows. 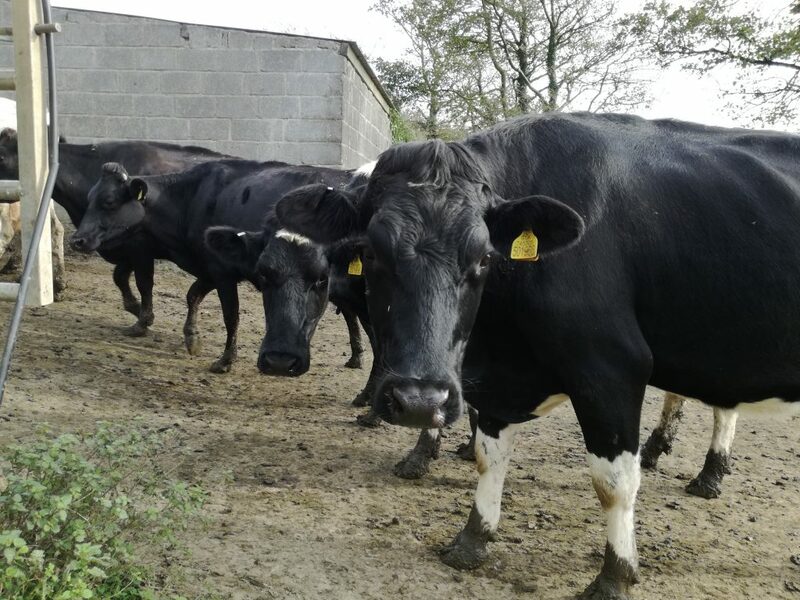 Today we have 350 cows at Lochmeyler Farm. They are milked twice daily in our herringbone milking parlour. 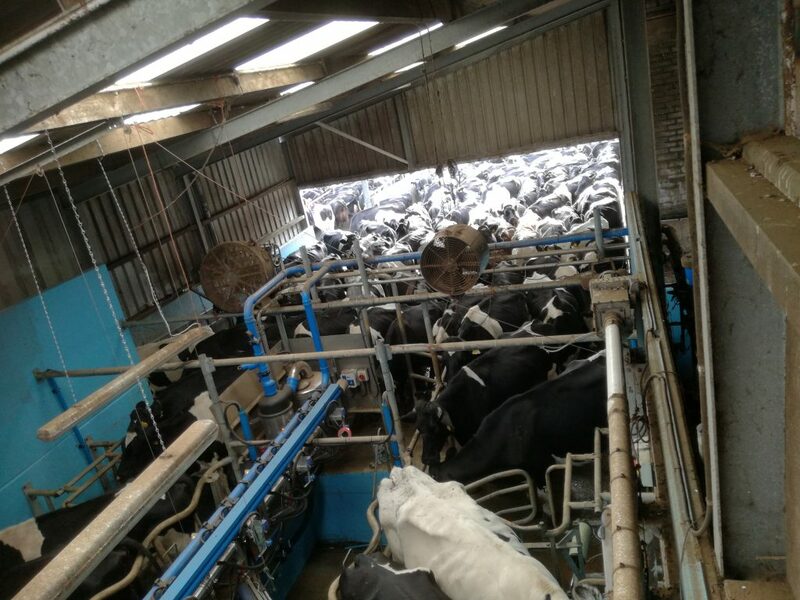 This milking parlour was built in 2009. You can watch the process from start to finish in comfort from our undercover Viewing Gallery. 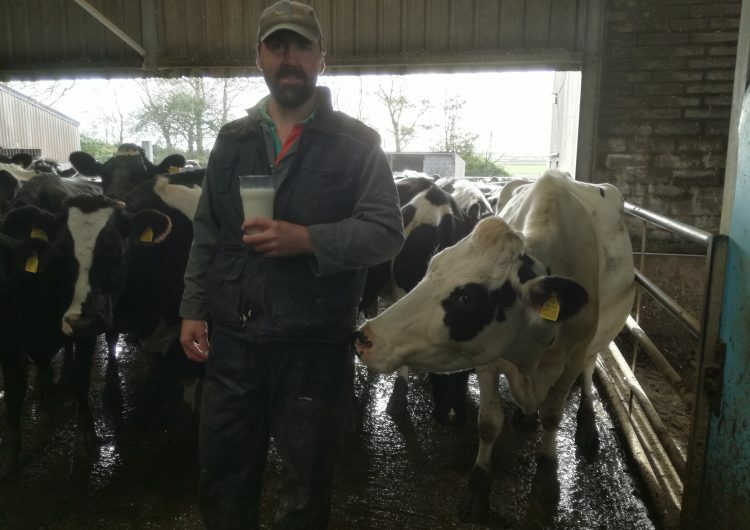 The morning starts at 5.15 am when Matthew gets up and brings the girls in, whilst Josh or Nick get the milking parlour ready for milking. The cows come in to the collecting yard where an orderly queue is formed once the pecking order has been established! 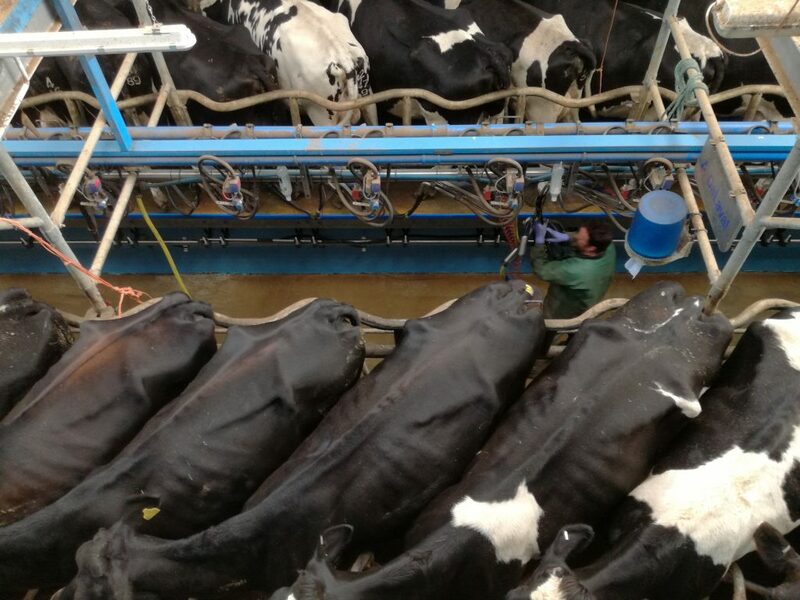 Surprisingly, the cows like to come in to the parlour in a similar order at every milking. When the cows come in to the parlour they are given their feed whilst their teats are prepared and the clusters are attached. Each cow, on average, will produce about 5,500 to 6,000 litres of milk each year. 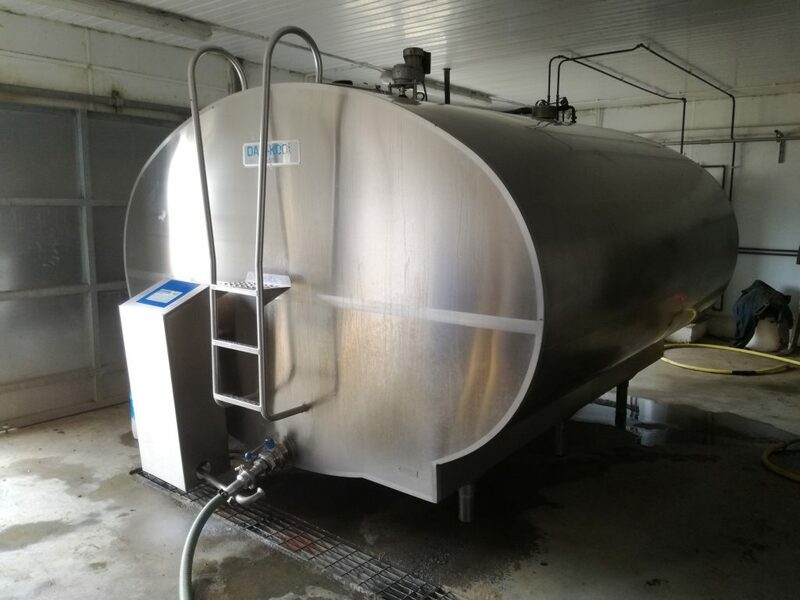 The milk is pumped through to the dairy, where it is cooled and stored in a bulk tank. It takes about 2 and 1/2 to 3 hours to milk all the cows. The milk is collected daily by a milk tanker. The afternoon milking starts at about 4.00pm. Our milk is sold to Glanbia Cheese and is processed into Mozarella cheese.